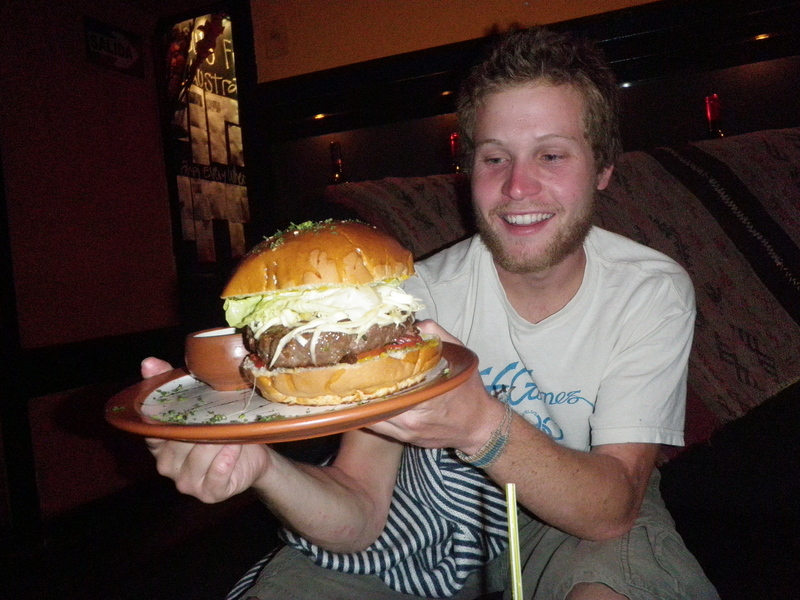 My brother & his victory burger at the end of the Inca Trail. He ate the whole thing! Last weekend, after spending all day exploring the Ojito Wilderness, my friend Becky and I were starving. The kind of hungry only produced by hiking, the kind of hungry only cured by a Victory Meal. A Victory Meal is one you’ve earned, one that tastes as good as anything you’ve ever tasted, one that satisfies not only your stomach but also your soul. After a few hours, days or weeks on the trail, ordering off a menu becomes an almost religious experience. 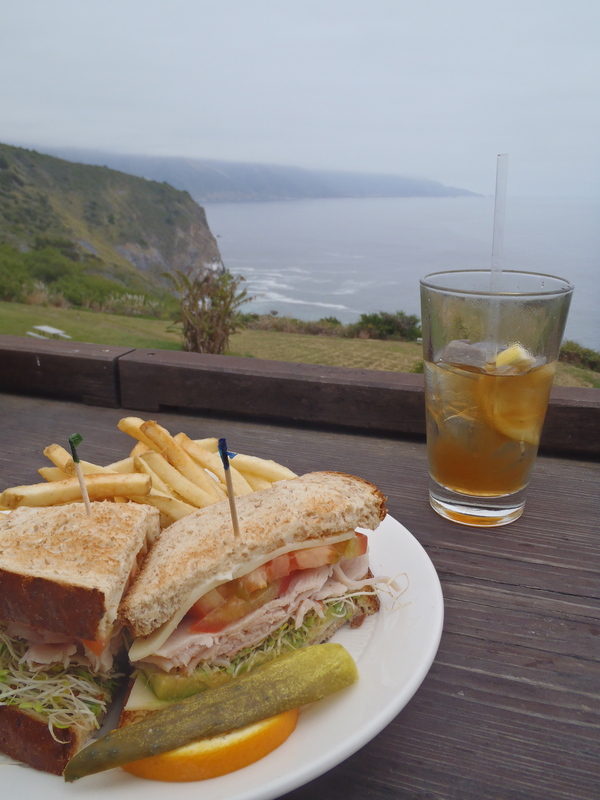 A Victory Meal is as much a part of a hiking trip as shouldering a backpacking and putting one foot in front of the other. Leaving the Ojito, we were about 3 hours from Santa fe, via the scenic route through the Jemez Mountains, but we made a pact to make it all the way to Bobcat Bite. Bobcat Bite boasts the best green-chile cheeseburger in Santa Fe. It’s so good, the New York Times and the Sundance Channel have both featured Bobcat Bite as one of the best burgers in America. Eating beef is kind of a big deal for me. I was a vegetarian from the age of 6 until I was 25. These days I only eat poultry and fish as a general rule, but in the pursuit of living life to the fullest, you better believe I’ll try one of the best burgers in America! Bobcat Bite didn’t disappoint. That was the third burger I’ve eaten in my adult life: a juicy medium well patty topped with spicy green chile and smothered in white cheddar cheese. I ate the whole thing so fast, I didn’t even think to take a photo of it. Now that’s saying something! Stay tuned for tons of Grand Canyon pix! This entry was posted in Beyond the USA, Hiking!, New Mexico, Photography, Road tripping!, Sustainable Living, Vagabonding 101. Bookmark the permalink. 6 Responses to Victory Meals! It does taste better when you’re STARVING!